Harvard University—in conjunction with Amherst—has released very important research concerning former felons outperforming other employees with “clean records.” These studies offer compelling statistics when it comes to changing the lifelong consequences of having a criminal record. The studies undertaken were unique in their own way because they based their research on the U.S. military—the nation’s largest employer. They ultimately found that ex-felons were not more likely to be dismissed for poor performance or misconduct compared to other enlistees. In fact, they were more likely than candidates without records to be promoted to higher ranks. While the law prevents anyone who has been convicted of a felony to enlist in the military, a military recruit may request what is known as a “moral character waiver” after having a background check. 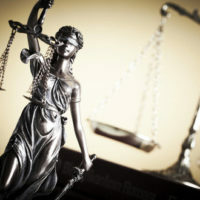 These waivers are intended to consider the various circumstances surrounding the crime(s) committed, including the age when it happened, the individual’s qualifications and references, and other factors. It is these recruits who were the focus of the research. But why would this be the case? Some of those associated with the data have speculated that it could be an increased sense of loyalty or duty coming from an employee with a criminal background. The employee may feel that they have been given an opportunity that would have otherwise been denied to them. In fact, this was one reason given those who conducted the Harvard-Amherst study. The research demonstrates that when properly screened and given a chance, ex-felons can turn out to be good employees sometimes going that extra mile to get beyond their past. While society appears to be making some progress in the form of study after study released indicating that the consequences of having a criminal record should not include a ban to military service or employment, is still more difficult with a criminal record. If you live in a state like New York, which allows for some with criminal records to have those records sealed or expunged, getting that record taken care of can prevent you from facing the endless discrimination that comes along with it. Contact us at Levy & Rizzo, LLC, The Clean Slate Attorneys today to obtain more information on how we can help.